We are the largest catalog/Internet company serving the Christian marketplace, frequently cited as “the source” for Christian products. We are constantly looking for ways to improve our offerings to give customers the best experience possible. CBD continues to grow and provide our customers with many more products than ever before. Our customers can choose to shop from our many unique catalogs by phone, mail, or Internet, taking advantage of our ever-expanding website, making it easier to find exactly what they are looking for faster, and at the best prices around. Our management team and staff of 500+ employees say a HUGE THANK YOU to our customers—without you we would have no business and therefore no jobs. We will continue to strive to provide you with superior customer service and a very enjoyable shopping experience. Christianbook.com is an eight-time recipient of the BizRate Circle of Excellence Platinum Award. This award is presented to top performing online retailers who have met the strict criteria set by BizRate Research to recognize outstanding customer service. BizRate has been presenting this award recognizing the “Best of the Best” e-tailers for nine years, and Christianbook.com is proud to have been a recipient for the last seven consecutive years and eight of the past nine years. CBD is the largest Christian catalog company in the world, sending out over 65 mailings of unique catalogs to millions of customers each year. Christianbook.com customers have access to the premier selection of Christian products available—over 290,000 books, Bibles, DVDs, CDs, gifts, toys, games, and more. Christianbook.com is proud to support several causes globally and locally. At present, our charitable giving includes: Bible schools, children’s missions, Compassion International, and missions in Croatia, Hungary, and India. Click on the Shop Now button to be taken directly to the Christianbooks.com website where you can immediately shop and order supplies. Discounted prices have already been entered for NPPG members. Buy a CBD membership for only $4 and save even more! Look for additional weekend specials starting every Friday by clicking on the Shop Now button. Save up to 90% on books, lessons, programs and ministry supplies. 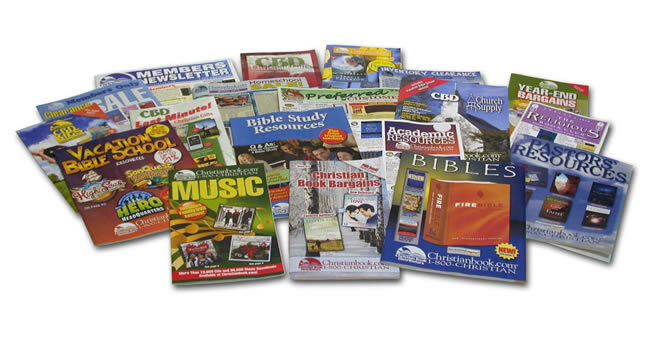 From humble beginnings in the late 70s to today's leading resource for Christian goods, Christian Book Distributors continues to provide an enormous selection at excellent value, with strong customer service and support.